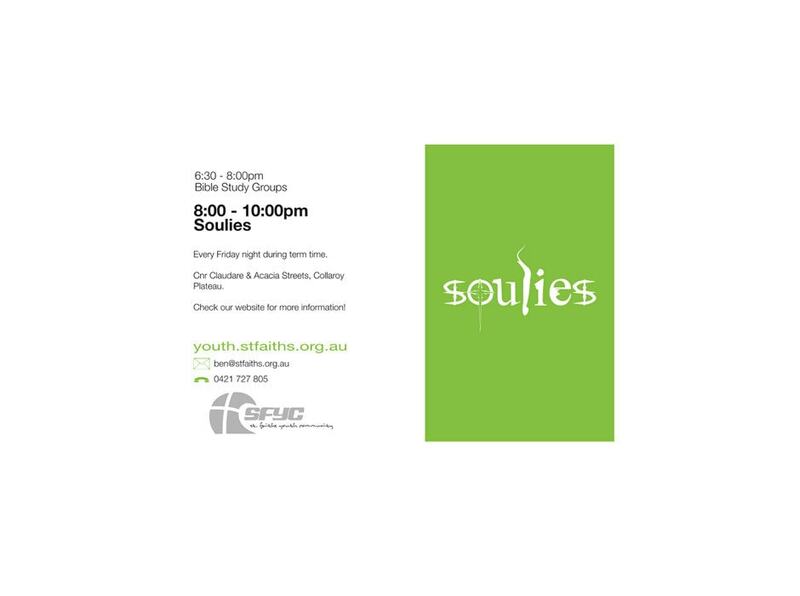 Soulies is a teenage youth group part of the St. Faith’s Church youth program. We designed a simple business card design that the kids can give to their friends. Although the concept might seem a bit old fashioned the idea really resonated with the kids. The idea of receiving something small and physical and something they can put in their wallet was more meaningful than a digital Facebook event.